Security measures are implemented by border agencies prior to approval of entry and berthing to prevent criminal activities within Fiji’s ports. 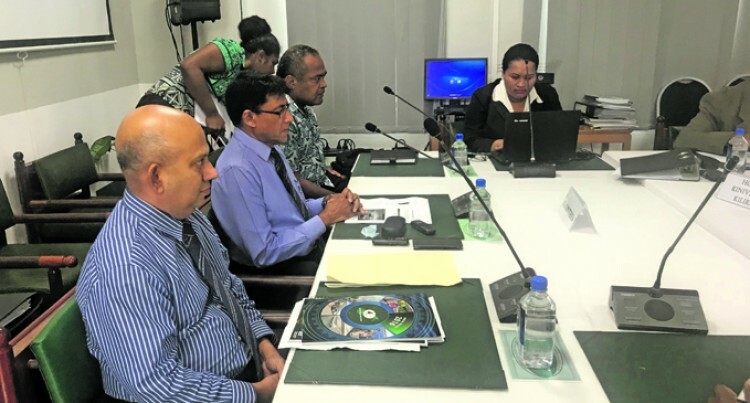 Fiji Ports Corporation Limited chief executive officer Vajira Piyasena clarified this while submitting the company’s report to the standing committee on Foreign Affairs and Defence at the Standing Committee Room at the Government Buildings in Suva, yesterday. Mr Piyasena said FPCL was a member of the Border Security Agencies. “BSA consists of Biosecurity Authority of Fiji, Ministry of Fisheries, Immigration, Ministry of Health and Customs,” Mr Piyasena said. “Support implementation of the Port State Measures to Prevent, Deter and Eliminate Illegal, Unreported and Unregulated Fishing as per Article eight, nine and ten of the Sea Port Management Act 2005,” he said. “Fiji Ports is working closely with the Maritime Safety Authority of Fiji (MSAF) and the Ministry of Fisheries Offshore Division to Prevent, Deter and Eliminate Illegal, Unreported and Unregulated Fishing. He also clarified that data on crimes linked to fishing vessels were kept by the Customs authority. “There are a number of international agencies that share sensitive information on data regarding criminal activities with Customs and Fiji Police taking the lead role,” he said. “Fiji Ports only keeps record of security breaches that occur within the wharf area. He said Fiji needed to work with relevant agencies and stakeholders in combatting crime and other illicit activities on Fiji waters. “Working closely with agencies such as the United Nations for Drugs and Crimes to detect and prevent criminal activities directly and indirectly linked to local and foreign fishing vessels,” he said. “Collaboration from all relevant agencies makes Fiji the efficient hub of the Pacific.